Zimbabwe’s economic crisis is complex. Since 2008’s hyperinflation, a brief recovery was thwarted by falling commodity prices, a drought and political instability that has led to an economy spiraling downwards since 2015. The situation has been complicated by the introduction of questionable bond notes, a vulnerable mobile money service, and an ever-changing policy that introduced yet another currency. 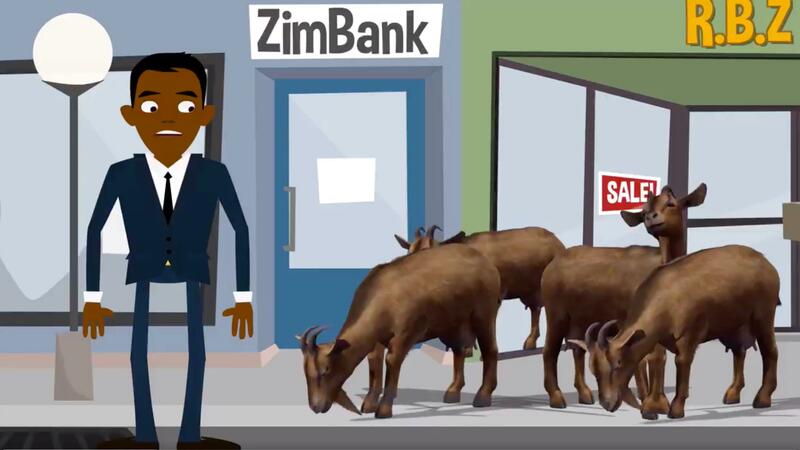 While policymakers use technical vagaries to explain away the crisis, an ordinary Zimbabwean has created the most succinct explanation through a two-minute animation. The animation achieves what policymakers and analysts have struggled to do: distil the crisis to its simplest form. Importantly, it explains how the banking system affects consumers. In it, dollars are cows and bond notes are goats, and Musasiwa tries to explain how the Reserve Bank forced consumers to believe they held the same value. It takes a tragicomic turn when Musasiwa has to explain Zimbabwe’s use of mobile money due to a currency shortage. “As time went by the government told me that their goats, that were valued identical to cows, could only be used as pictures of goats on my phone because the physical goats were in short supply,” the animation explains. The animation has since been translated to Shona and isiNdebele. Musasiwa, a rapper who also runs a vegetable delivery service and an advertising agency, knows the very serious consequence of the currency shortage or a crash in the mobile service network. Price volatility and the failure to maintain the 1:1 value of dollar to bond note has slowed business. Farmers insist on cash, while “Ecocash enabled cartels” take a 15% to 20% premium. Like Zimbabwe’s economy, the short explainer offers no solutions. Instead, it lays out exactly what Zimbabweans have had to deal with.